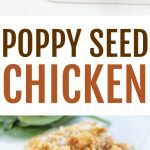 Poppy seed chicken is such a classic recipe that is incredibly easy to make. 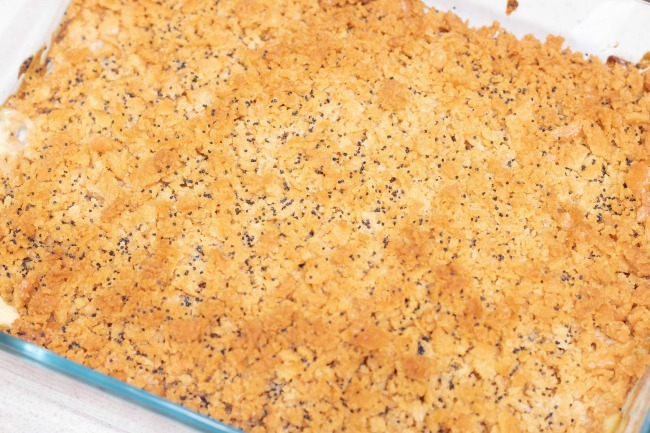 A creamy chicken casserole topped with a buttery Ritz topping and poppy seeds. 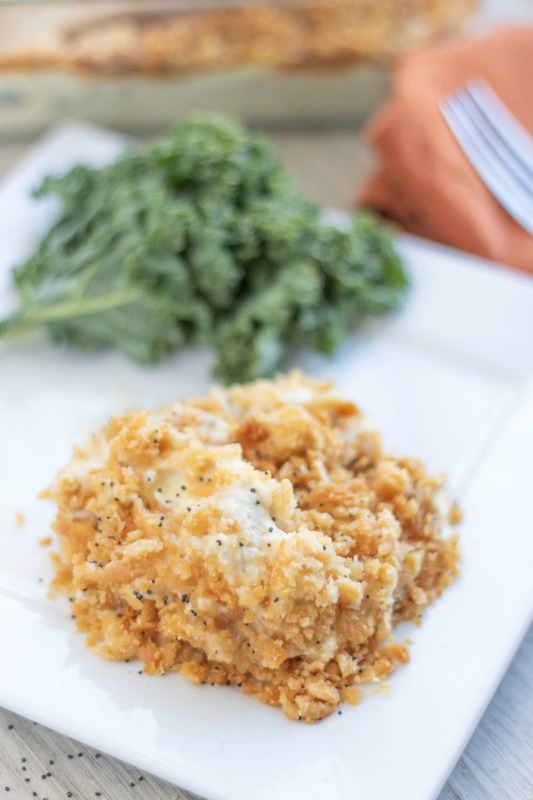 This chicken casserole dish is super easy and a beloved southern stable in our house. 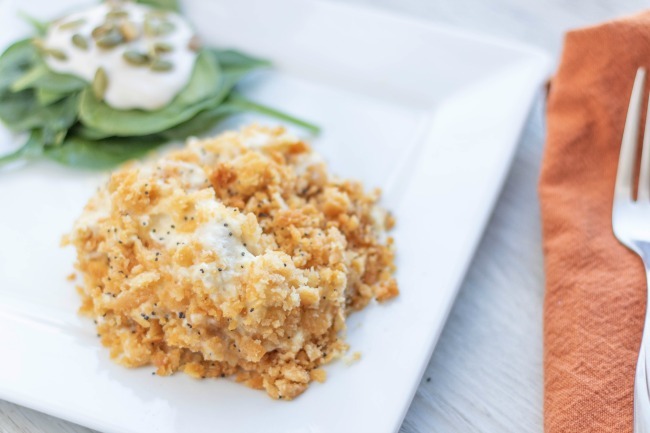 Ready in 30 minutes and makes the perfect weeknight meal. Delicious and tasty everyone will be wanting more! Boil your chicken breasts and dice or shred into small pieces. Layer evenly into a 9×13 casserole dish. 5. 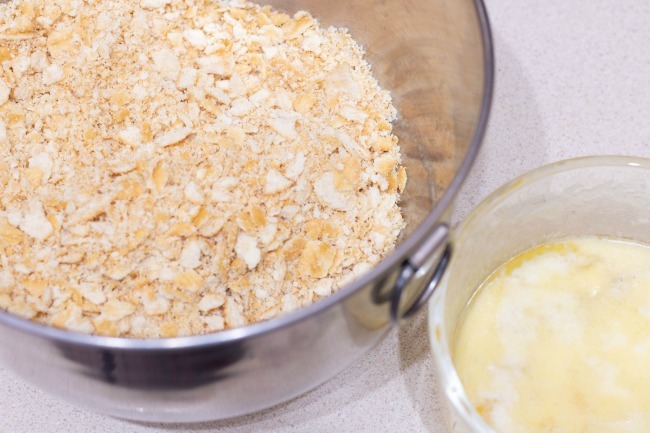 Melt your stick of butter while crushing your Ritz crackers into a bowl. 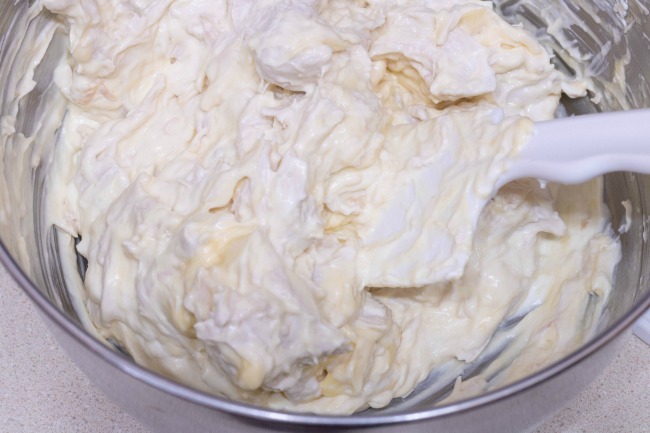 Once the butter is melted mix it in with the crackers and spread evenly on top of the chicken. 6. Sprinkle poppy seeds all around the dish. 7. Bake in preheated oven for approximately 30 minutes. 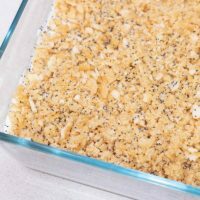 This casserole can be prepared in advance through step 4 (leaving off the Ritz crackers and poppy seeds) and keep it in the freezer for up to 3 months. 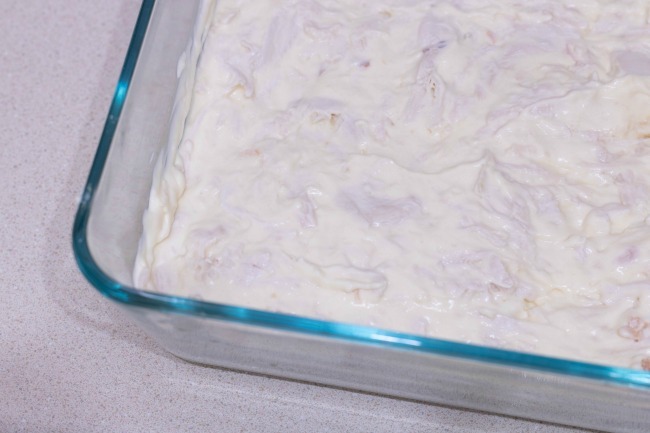 If baking from frozen, be sure to thaw the casserole in the refrigerator overnight. 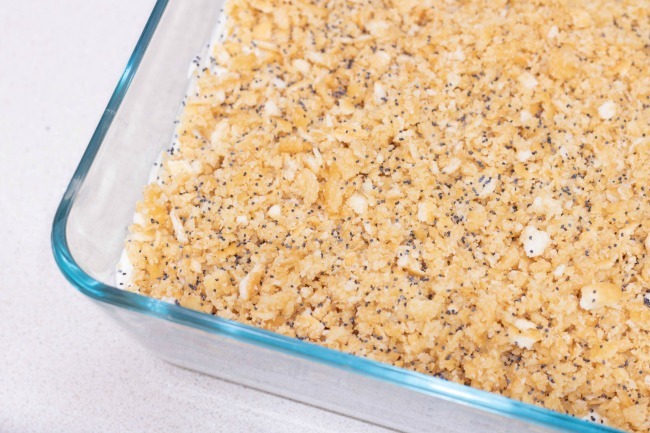 Once thawed you can then add the Ritz crackers and poppy seeds before baking as instructed. 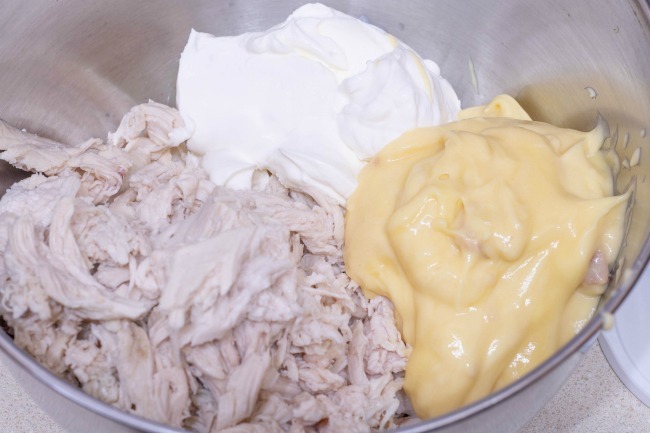 Mix your shredded chicken in a bowl with your can of cream of chicken and sour cream. Layer evenly into a 9x13 casserole dish. 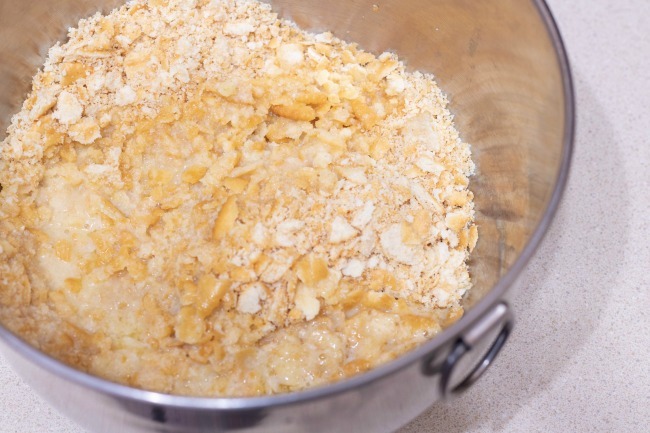 Melt your stick of butter while crushing your Ritz crackers into a bowl. Once the butter is melted mix it in with the crackers and spread evenly on top of the chicken. Sprinkle poppy seeds all around the dish. Bake in preheated oven for approximately 30 minutes. 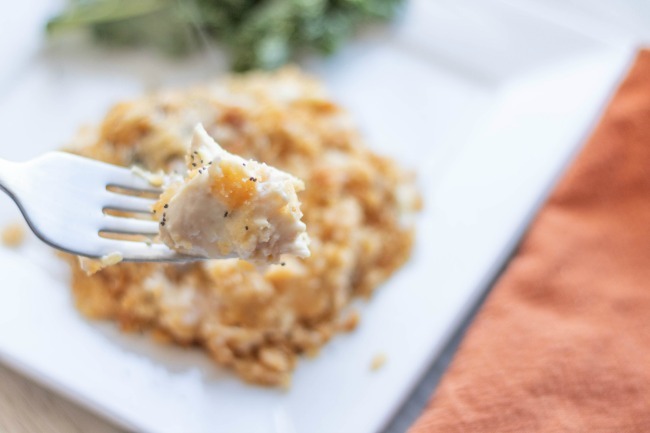 If you enjoyed this Poppy Seed Chicken Recipe you also might like these other chicken recipes. That looks really good.. creamy and crunchy and salty. Yum!